I want, I want, I want! What parent hasn’t heard those words a thousand times, particularly at the toy store? For several years, my daughter watched only the programs on PBS. Not only were they fun and educational, but not once did a Barbie or Baby Alive commercial appear on the screen. That meant she didn’t know about the latest and greatest versions of those toys. Those toys are fine — we even own a Baby Alive, and lots of Barbies — but because she didn’t see commercials for them, they weren’t her main focus. By the time she was in kindergarten, she saw her first toy commercial. I forget what the ad was for, but I remember lots of pink; lots of high-pitched, smiling girls in funky outfits; and upbeat music. She was mesmerized. “I want that!” she said. It was shocking how one little commercial could spark such a Pavlovian response. The December holidays are about lots of things, but to a kid, the highlight is gifts. It’s not a bad thing — it’s fun to look forward to and hope for a special present. But making sure kids understand that being together with loved ones, thinking of others and being thankful are just as important as opening that sparkly package. 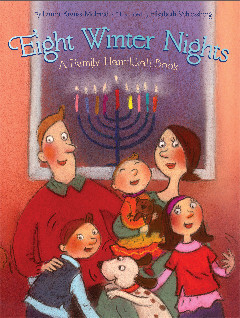 These books celebrate the holidays, as well as the joy of togetherness and sharing. 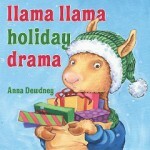 Llama Llama just can’t wait until Christmas! He counts the days, frustrated that the holiday is days away. Mama Llama intervenes: “Wishing, waiting, wanting things…/we forget what this time brings./Gifts are nice,/but there’s another-/the true gift is/we have each other.” A warm, endearing story for little ones. 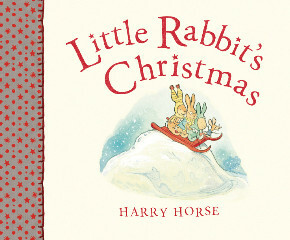 Beautifully quaint and colorful illustrations help tell the story of Little Rabbit, who more than anything, wants a red sled for Christmas. But when he gets his wish, he doesn’t want anyone to ride on it. A sweet, gentle lesson about friendship and sharing. 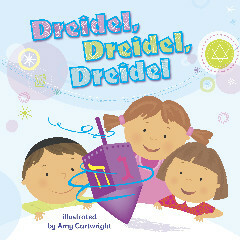 Kids can read the words to the song, “I Have a Little Dreidel,” complemented by cute and cheerful pictures. The last two pages open up to a pop-up of a dreidel spinning on a table. 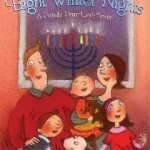 Kids will love making the dreidel spin! 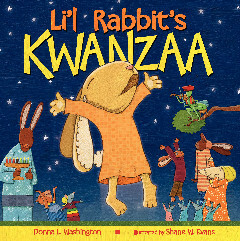 Vibrant artwork and expressive faces are featured in this story of Li’l Rabbit, whose favorite part of Kwanzaa is “karamu,” a feast. But with his Granna Rabbit sick, he worries they’ll be no feast. He decides to find special food for Granna so she can still celebrate. 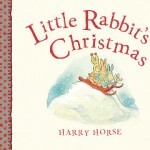 Along the way, he gets some help from the neighborhood animals, who join together to create a special feast for Granna Rabbit and her family.